Jeeps original steering shaft assembly was not designed for the added stress of body lifts and oversize tires. Borgesons replacement assembly has a telescoping shaft with two precision needle bearing u-joints. The steering assembly is easy to install with common hand tools. Once installed, you will experience much tighter and more responsive steering. 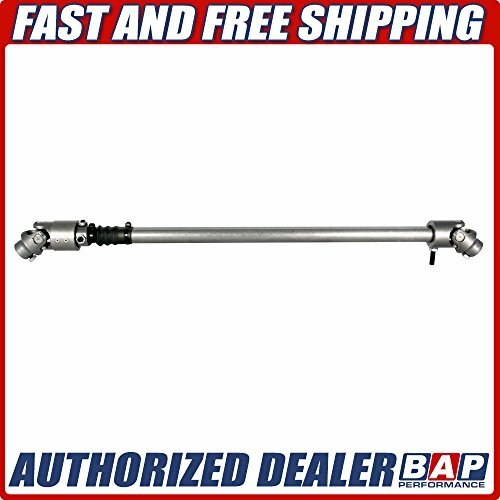 1984-2000 Jeep Cherokee XJ and Wagoneer XJ heavy duty telescopic steel steering shaft. Connects from factory column to steering box.